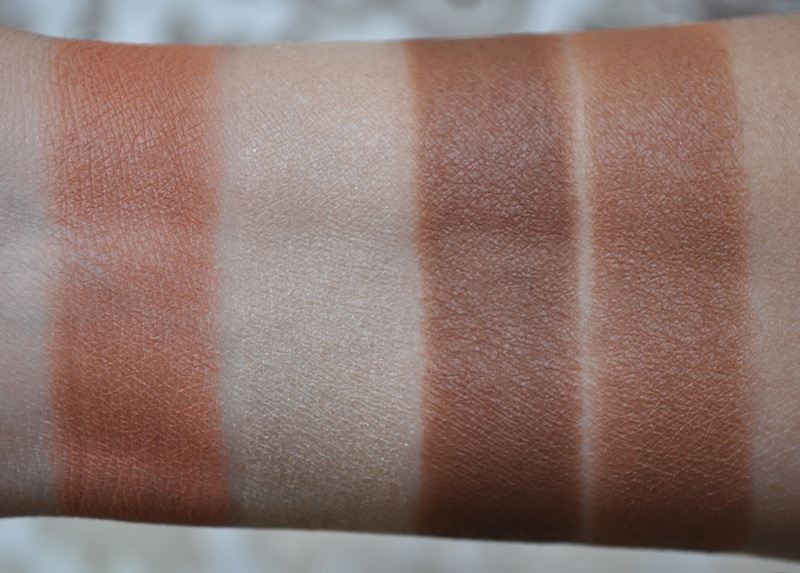 From left to right: Sand Dune, White Pepper. From left to right: La Mamounia, Mustard Tree. From left to right: Sheltering Sky, Moroccan Rose. From left to right: Brown Toast, Spice On. During the Desert Rose launch, Addiction offered this lovely custom compact when you purchased a minimum of three items from the collection. 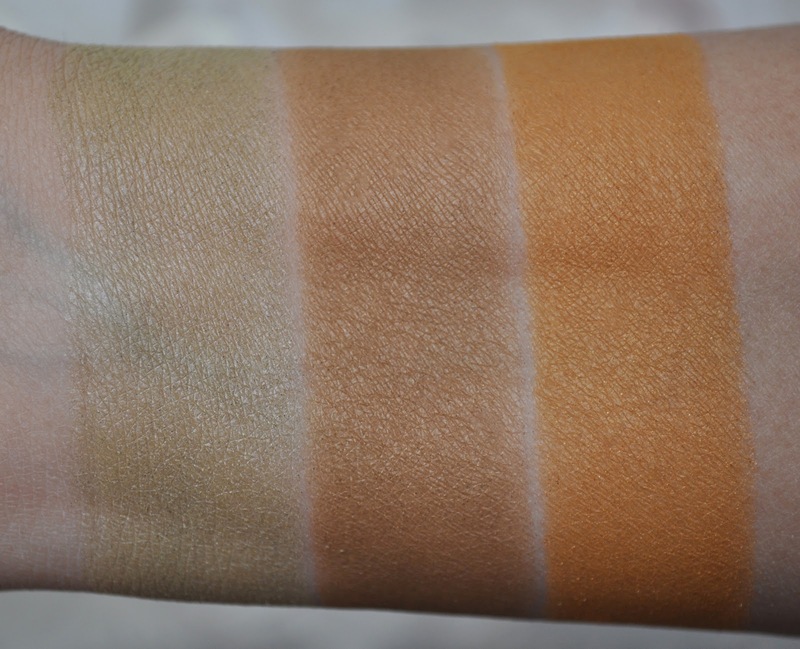 From left to right: Eyeshadow in White Pepper, Sand Dune, Mustard Tree. 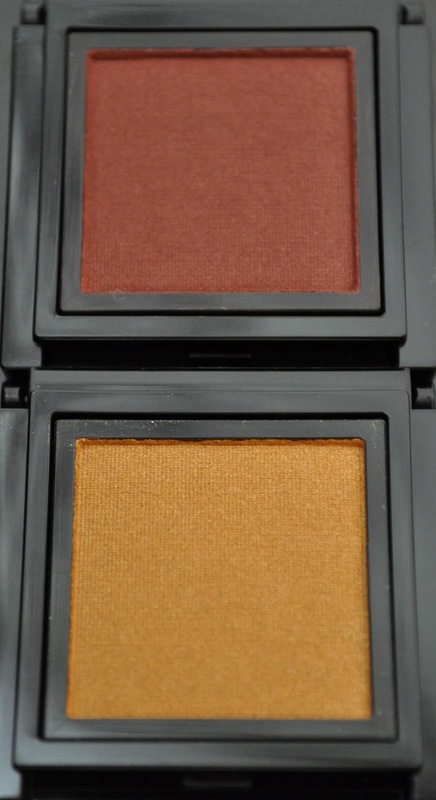 From left to right: Eyeshadow in Moroccan Rose, La Mamounia, Sheltering Sky. 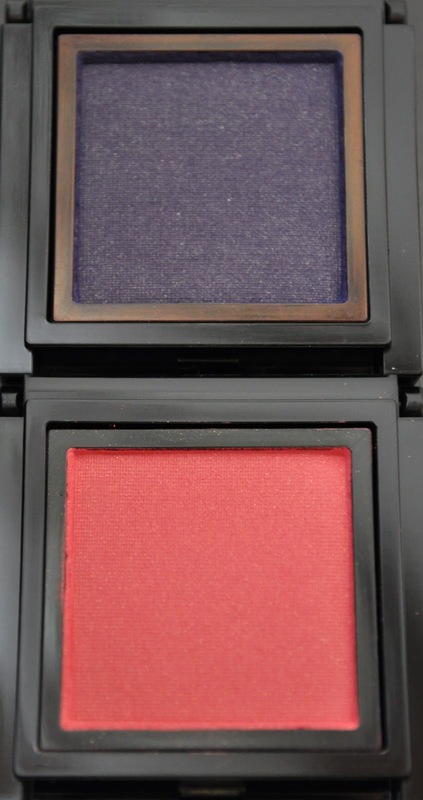 From left to right: Kohl Eyeliner in Midnight Sun, Arabian Nights. 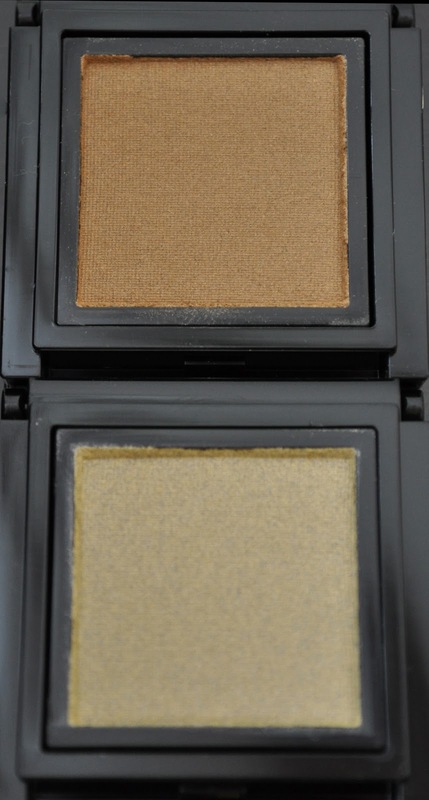 From left to right: Kohl Eyeliner in Night Dive, Secret Nights. I re-created the look worn by the model in the Desert Rose Collection Ad, but tweaked it a bit to better suit my eye shape. No Foundation, No Concealer, No Brow Pencil. Addiction Cheek Stick in African Sunset (applied in the hollows of the cheeks and blended upwards). Addiction Blush Mix in Spice on (mixed together, applied on the apples of the cheeks and over African Sunset). 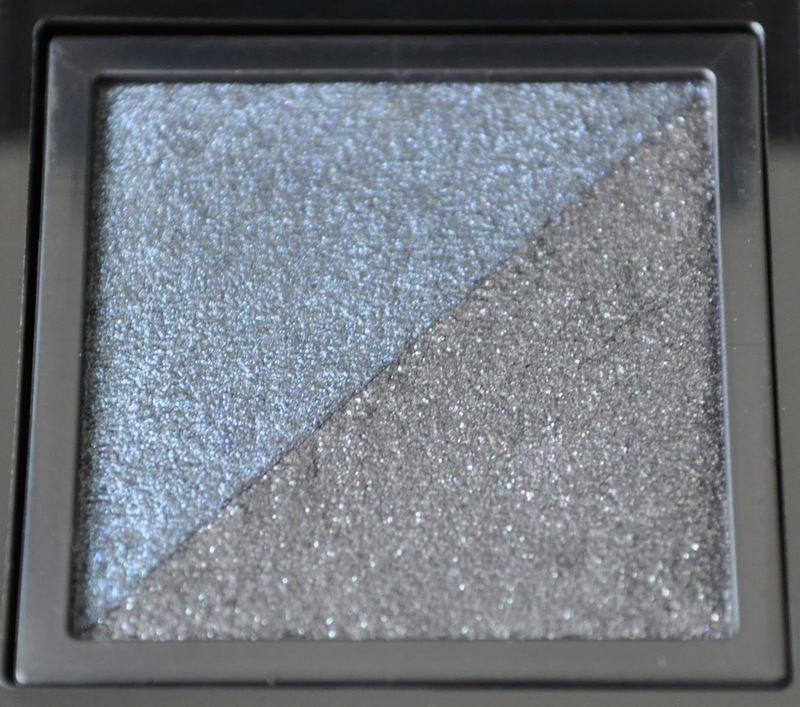 Addiction Eyeshadow in Sheltering Sky (On the lid and lower lashline, blended out into a raccoon shape). 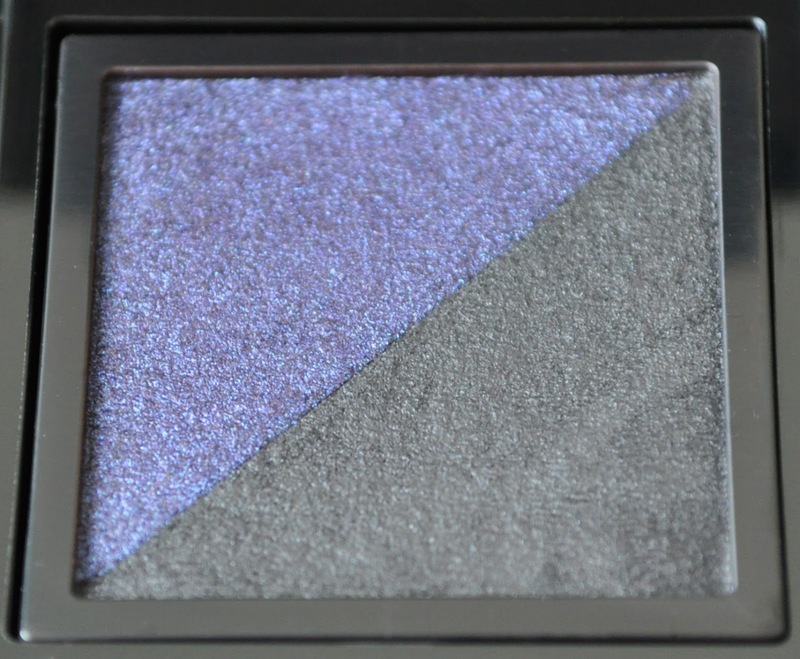 Addiction Eyeshadow in Moroccan Rose (patted on the lid over Sheltering Sky and slightly extended out). 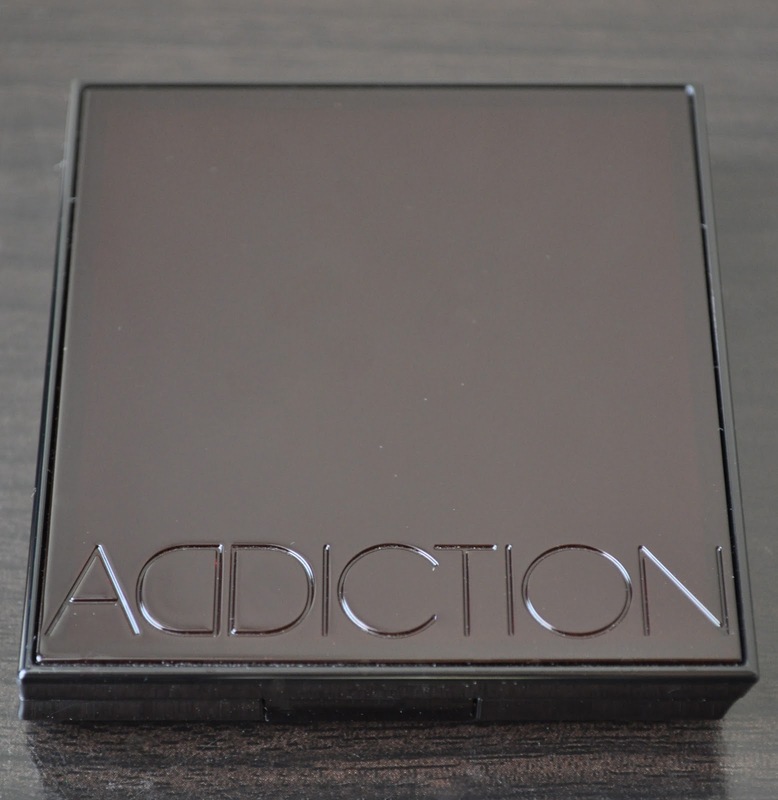 Addiction Kohl Eyeliner in Arabian Nights (on the waterline and lower lashline). 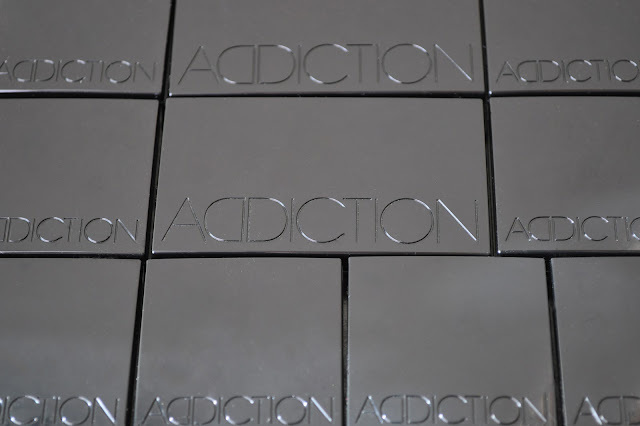 Addiction Cheek Stick in Sensually. What Fall/Winter collections have you been loving? 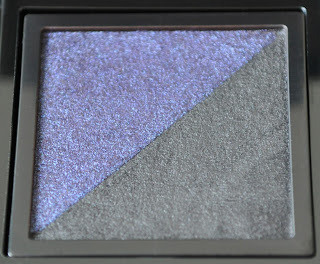 I also picked up a few of the shadows & kohl duos. I wish I'd left out secret nights and had rather ordered midnight sun though. 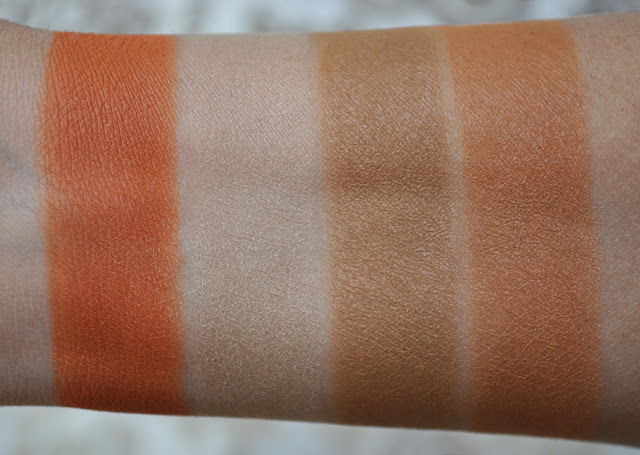 The pale shade put me off and even in your perfect swatches it doesn't look that great, but the brown is LOVELY and secret nights just doesn't move me. Not enough teal. 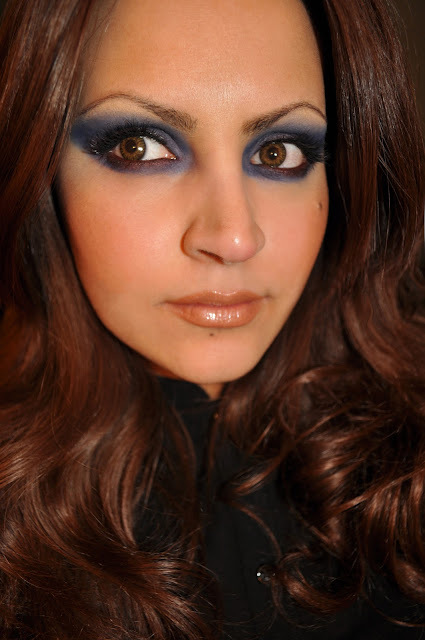 Actually, I was going for a "bandit" (raccoon) shade when creating this look. Love raccoon and their opposable thumbs! 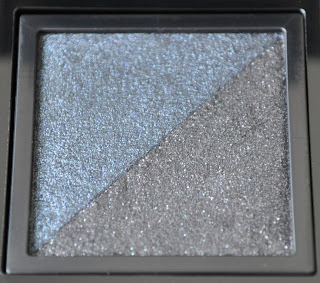 Glad I did, because Midnight Sun is a lovely duo, the pale icy sky blue looks beautiful on the eyes, and the brown is heavenly! You are such a mega-sweetheart! You not only look gorge on the outside, but you're good on the inside too!! God was having such a great day when he created you:)) If everyone took you up on your generous & super kind offer to buy for them, you'd have no hours left in the day for yourself! Yipp, the mark-up is pretty atrocious, but you know what it's like, the grass is always greener on the other side!! If could just be happy with the local brands my credit card would be a lot happier. But no, it HAS to be the hard to find, exotic stuff! For me, paying the mark-up is my punishment for being so darn STUPID!! Thank you Buggsie <3 So glad to have found you through this beauty blogging. I may be in Germany this year, if so, we need to meet up! I really wished you blogged, because I love the way you write (you write the way I think) and always look forward to reading your comments...really I do! I totally understand. I have all these great Japanese brands here, but I also the foreign brands, but the mark-up is so high that I have to order in the states and wait for them to arrive. I still haven't received any of the holiday collections (by the way, the post office is closed til January 4th), lucky for me Winter just started. GREAT Mrs Gorgeous! I'll be here...I think:) Will be away over Easter - visits parents in S Africa. Hey, we can play mother-daughter:))...yikes....it'll probably look more like grandchild- granny?!?! Where did you get to be so gorgeous?? The mark-up in Europe is disgusting, but if I import from the US I have to pay tax & duty when it arrives so it's equally / more expensive. 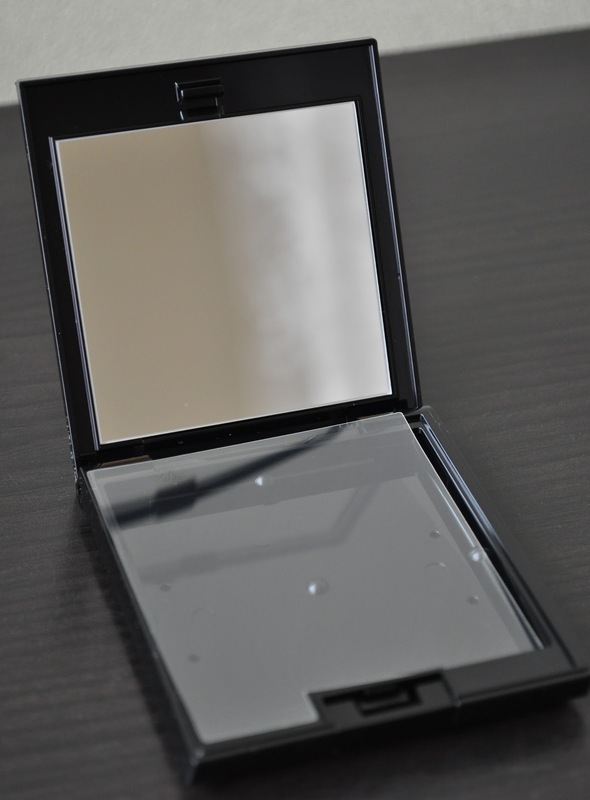 Ignorant Chanel doesn't ship out of the US anyway although we don't have access to the decent square pan quads in the EU. I always have to buy my quads off ebay which is a real PITA. Why in Heaven's name does Chanel assume that we ( EU ) prefer the baked shadows?? I don't know one single person who does! Germany has always been on my "places to visit" list. What's the best time in the year to visit Germany? I can totally sympathize, the markup here a just criminal!!! I agree with you a 1000% on the EU quads, I only by them when I have no other choice. First of all, you look beautiful. Very dramatic and eye-catching. Secondly, you have no foundation on?! I truly mean this - your skin is beautiful and you genuinely don't need foundation! 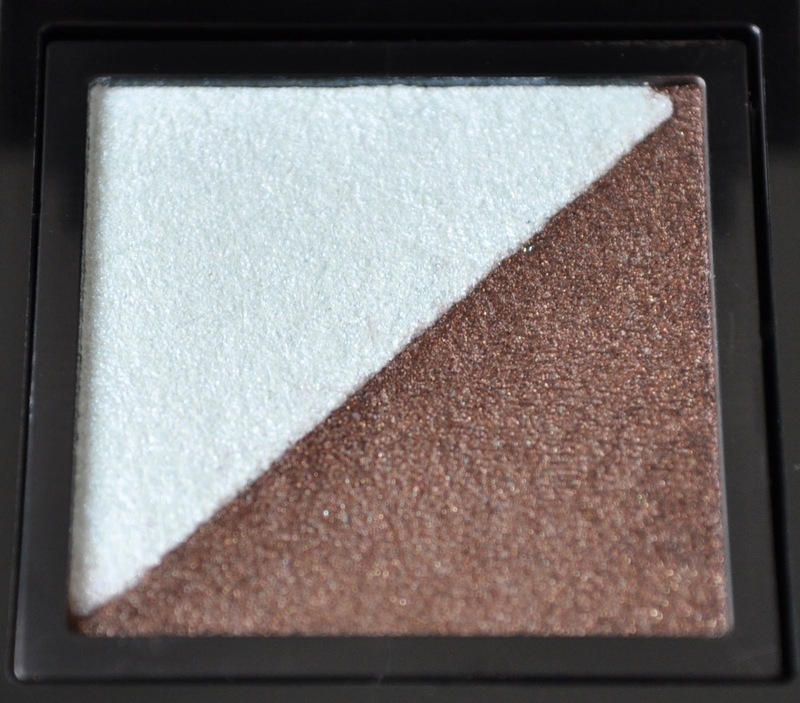 Such glowy perfection. those trio blushers are calling me... my wallet will be crying again!!!! btw, your skin is flawless!!!! I am so jealous!!! The entire collection is fabulous! Darling, if you want any products from over here, just let me know, and I'll get it for you. No need to pay so much!! Honestly, I mean it!! Merry X'mas! I hope you are having a good time over there! Next time when I am planning to haul again I will definitely hit you up!!! it's so nice of you to offer the help!!! I am so flattered!!! so my stash of THREE is heading to me soon... I may order more if I am addicted to them!!! lol... such a life of a makeup addict!! Happy Xmas and New Year's!!! What did you order from THREE? You'll definitely be wanting more...trust me!! now i'm gonna my Dr. office and speak with him about gaining excess weight i actually n truely believe this can be the most effective internet site a person can go to, to understand how you can obtain fat You're Great! Eww...wtf Aerien? You brush your tooth twice a week. That's disgusting. How can you forget like that. Your breath need to be rank. I can not even perform while in the morning if until I brush my enamel. All the sheds are wonderful, but the church lose is my favorite! Monthly bill, I believed this was likely to become an excellent read. That is, till I received to the "Who does one add" subject. realizing them so why Must they want to add you to their fb web page? Sounds to me like you are the a single using the hang-ups! I'm doing a paper on yoga and my points are how it really is useful for men, females, and little ones. Would be the advantages diverse sufficient to acquire a good paper out of it or ought to I alter my points? Should you do believe this is a great strategy to lay out my paper, what would be the different positive aspects? You should give me some internet sites or other sources due to the fact regardless of how I lay it out, my paper must be about yoga! Thanks! This was quite interesting I'd no idea that it began that soon, my partner and that i are 43 and 44, I had no notion we were so near for the mark on this. In case you continue to operate out two to 3 times per week lifting excess weight then your muscle shouldn't deplete like that even though appropriate? and muscle so I hope not. site is fantastic but isn't going to have a lot of recipes.